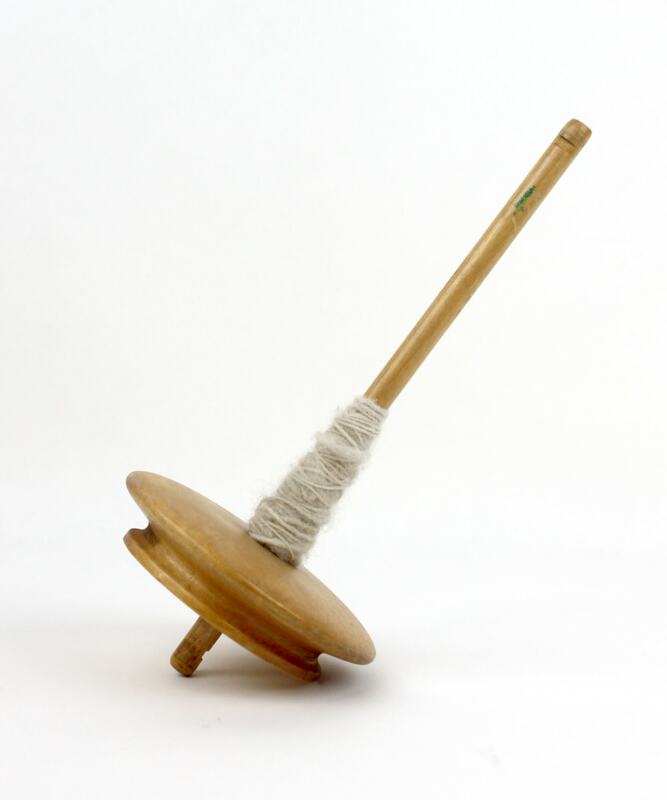 Schacht Spindle Company was founded in 1969 during the back-to-earth movement of the late 1960’s and its accompanying craft resurgence. Brothers Dan and Barry Schacht started their business quite by chance when a friend wanted to learn to spin. They’d heard about Greentree Ranch in Loveland, Colorado, the only place around that taught spinning. One day, the brothers hopped in their van with friends and dogs and drove up to the ranch. Not only did they get a quick lesson in spinning on a drop spindle, they also came home with a commission to make 200 of them. When the brothers delivered the spindles to the Greens, Louise Green, who was just starting to weave, suggested they make a simple loom. “What’s a loom?” they asked. 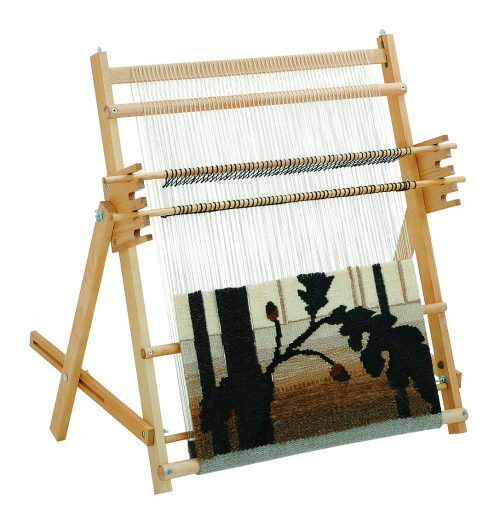 Their first model was a portable tapestry loom, a version of which we still make today. To spread the word about weaving (and to get dates! ), the brothers taught classes at the Boulder Free School and soon opened a retail shop to serve the burgeoning fiber community. In the beginning, the brothers designed simple looms and accessories at one of the university’s woodworking shops. Early manufacturing was done with the help of a commune and a retired woodworker in Loveland. Later, they set up a shop in their garage. From there they moved through a series of “real” factory spaces with honest-to-goodness power equipment. In 1985, we built our own factory on three acres in Boulder. Today we are one of the world’s leading makers of hand weaving looms and spinning wheels. It’s been a pleasure and challenge to learn how closely our products tie in with the craftperson’s work. We realize that the quality of their work depends a lot on the quality of our tools. In 2019 we’ll be celebrating our 50th anniversary all year long with special products, events, and a ton of fresh content. Get updates on our golden anniversary by visiting the web page. I’ve been trying to weave with a fairly fuzzy mohair yarn, and it’s giving me fits! It keeps sticking together and I am having trouble passing my weft yarn through. HELP!!! Mohair is notoriously difficult to weave with, however the effects are so stunning, that it’s hard to resist such a delectable fabric. Here are my top tips for controlling the frizz. Use a wider sett than you normally would. i.e. if you would normally use an 8-dent reed for that weight of yarn, move to a 5-dent reed. This will help mitigate the stickiness, and gives the yarn space to bloom during finishing. Use the mohair sparingly in the warp as more of a supplement, or just use the mohair as weft. The main cause of mohair tangling is when it moves past itself as the reed changes positions over and over again. Use a hair de-tangler spray such as Loreal Tangle Tamer spray. Spritz it on your warp and it helps slick the fibers down. This will wash out later, and your yarn will go back to its fuzzy state. Use a pick up stick or weaving sword to clear your shed and to make it larger. This will help separate your warp even further, allowing you to get the shuttle through more easily. Don’t feel discouraged when a yarn doesn’t immediately work out. Sometimes all it takes is a little patience, a little know-how, and a lot of experimentation.